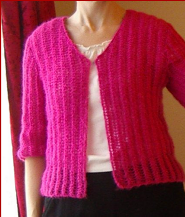 To purchase this pattern, click on the 'add to cart' button. Once you are done shopping, checkout and make your payment through pay pal. 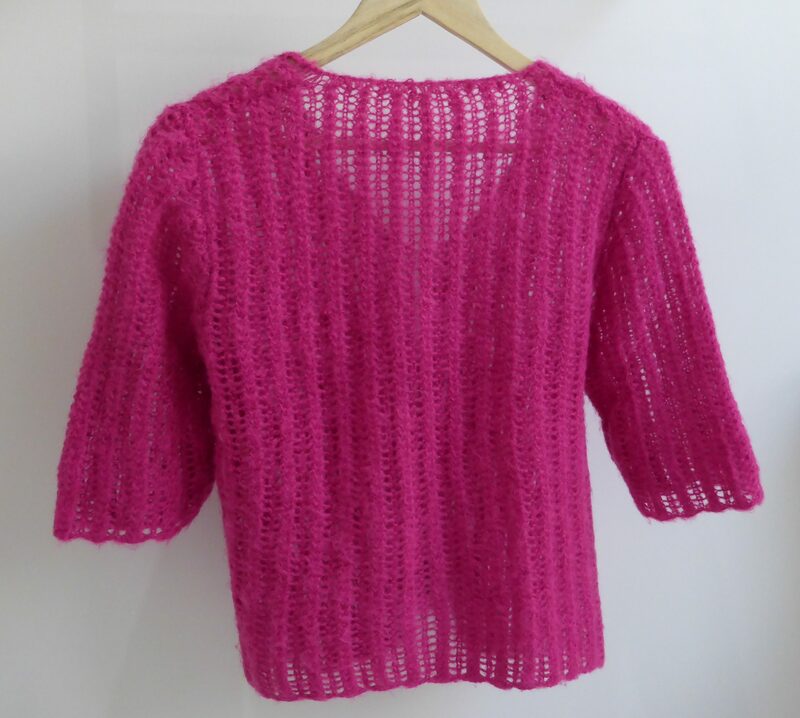 You will immediately receive an email from Ravelry with a link to download the pattern (you do NOT have to be a Ravelry member to purchase my patterns and you can download the file without joining Ravelry). 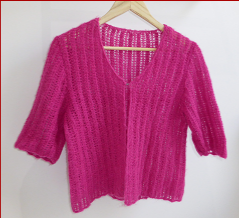 This ladies lacy rib, V neck Jacket has elbow length, set-in sleeves. 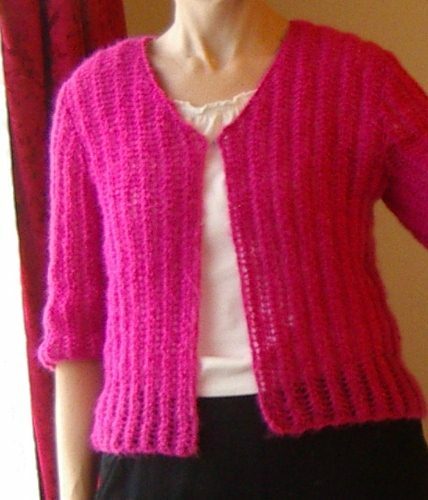 The body is worked in one piece to the armholes meaning there is less sewing up and the lacy pattern continues without seams. The lower edges have a subtle scalloped effect. The Jacket fastens with a single hook and eye. To fit bust: 80 (90-100-110) cm [31½ (35½-39½-43¼) ins]. Garment measures: 87 (97-107-117) cm [34¼ (38¼-42¼-46) ins]. Yarn required: 3 (3-4-4) balls Lincraft Winter Warmth, 5og balls. Needles required: A pair of 4.00mm [UK 8, US 6] knitting needles. A 4.00mm [UK 8, US 6] circular knitting needle, 80cm [31½ ins] long. Wool needle for sewing up. Also required: A stitch holder; a hook and eye. Tension: 25.5 sts and 27 rows to 10cm [4 ins] over patt, using 4.00mm needles.